MIT Sloan Boston Alumni Association - MIT Sloan 2013 Holiday Party @ the Ritz! MIT Sloan 2013 Holiday Party @ the Ritz! 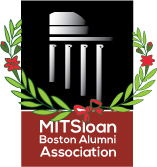 Sold Out Celebrate the season with Boston area alumni at the Ritz-Carlton Hotel, overlooking the Boston Common. A hearty dinner and full open bar are included. Business and Casual Friday welcome too! NOTE: All registrants may bring one guest. Enter quantity  when purchasing ticket. The MIT Sloan Boston Alumni Association and the MIT Sloan School have decided to generously subsidize this event so that everyone can attend. Public transportation/parking: The hotel is less than a block from the Boylston stop on the	Green line and is also nearby to Park Station on the Red line. Valet parking is available at the hotel for $27 for the event, or consider finding a self-park coupon online for 6 Avery St. (next door vehicle entrance at 47 Boylston St.) for as little as $10, or use the Boston Common Garage which is $12 if out by 8AM the next morning.